From the outside, it often looks like other people aren’t experiencing difficulties. To dispel that myth today–and hopefully to help us all to move past our challenges, I’m going to share a part of my story. And it’s totally okay to laugh. We laugh, too. Funny, right? I keep giggling as I’m typing this…. Sometimes he make fighter pilot jokes. He even made up new words to the song “Closing Time” and sings, “Hosing time…” (because those of us with CPAPs are lovingly part of the society of “hose heads”). Often I’m laughing as I’m putting my mask on, which is extremely difficult to do, if you’ve ever tried it. Listen to the podcast to hear his song–and let me know if you can keep a straight face. So while I’m telling you my story today, it’s really your story. We are ALL struggling with something, and I believe it’s time we face our challenges—whatever is holding us back—so we can move forward, with power. For most of my life, I felt tired. Immediately upon waking in the morning, I’d plan my first nap of the day, and I would apologize to God for being so weak—thinking that I was just doing a bad job at life. I thought it was because I was a busy student or because I became a mother or because I had a lot on my plate. 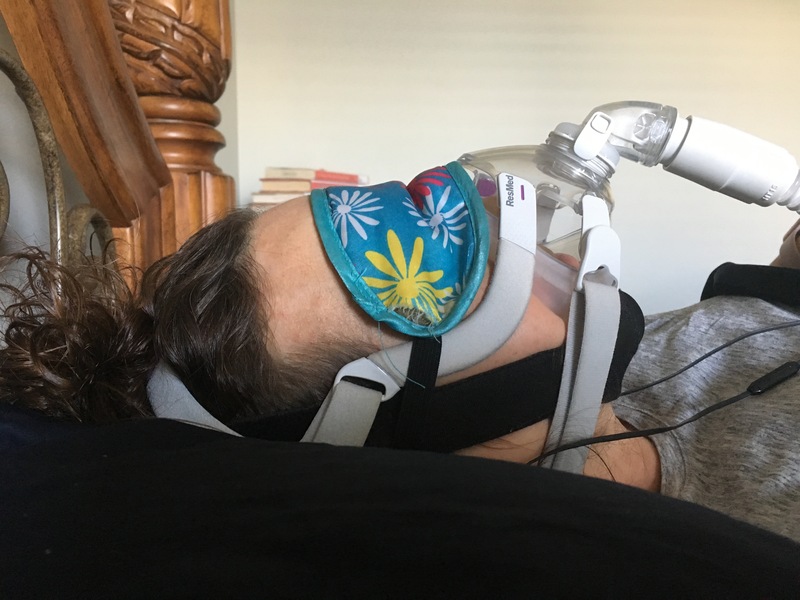 Well, a little over a year ago, I finally got a sleep study, where I learned that I wasn’t ever getting steady REM, and the doctor recommended I start using a CPAP (thus, the lovely photo up above). Even though I now sleep with a whole lot of stuff on my head, can I just tell you how RELIEVED I felt when I left the doctor’s office? I sat in the car for a full 45 minutes, reviewing my sleep study report and sobbing because I finally had evidence that my exhaustion wasn’t my fault. We often stay in difficult circumstances because we think it’s our fault—and that there is no way out. Yes, sometimes we make poor choices, and we need to make things right, if that’s the case. But sometimes things are hard because there is simply something we don’t know yet. Do you keep going through the same frustrations—over and over again—because you think it’s your fault you’re experiencing them in the first place? We hear this a lot in our Steps to Everyday Productivity program. People who have been living in clutter for most of their lives think that THEY are the problem. 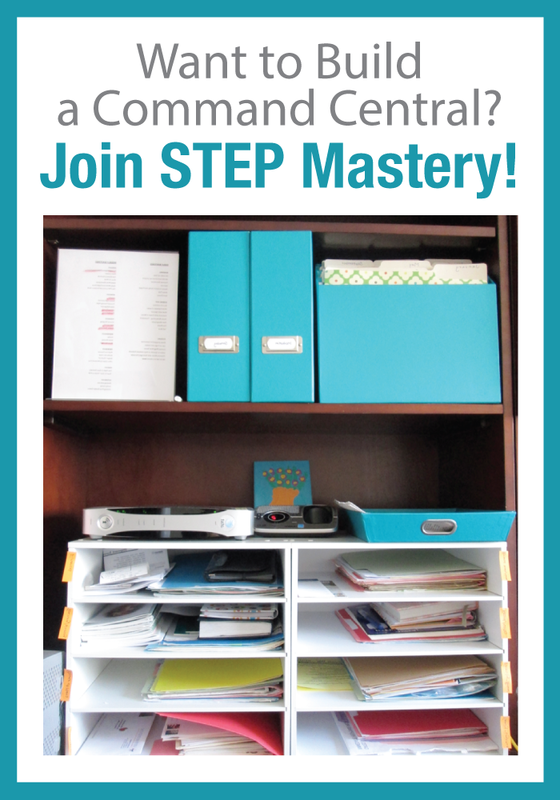 They label themselves as “messy” or “disorganized”–not realizing it’s just that no one ever taught them how to organize their minds, their lists, and all the responsibilities on their plates. Last year I found your podcasts and I have found them life-changing. I don’t remember which podcast it was in that you said to conquer the toughest room in your house and that is what I did…. After conquering that room, I found that the rest of my home just fell into place like dominoes falling. It has brought much relief and joy! I can’t really explain what all it has done for me. It isn’t just the physical piles that I conquered but there were emotional piles, spiritual piles, etc. that needed to go. Your program has shown me that it isn’t just physical piles we are conquering but much more…. My stress level has gone down so much that I can sleep so much better at night. With much love, thank you and God bless. And if you’re drowning in any sort of clutter (physical, mental, digital…), I promise you there is help. The second point I want to make is that fixing a difficult issue isn’t always easy. I bought my first CPAP on the way home from the doctor’s office, and I was giddy/desperate as I went to bed that night. But it was awful. I hardly slept. I was up every single hour. More than 18 months later, I’m in a pretty good routine, but goodness, it’s been a journey. And I STILL struggle. I don’t always sleep well, and so I have to be really careful how I spend my time and energy. 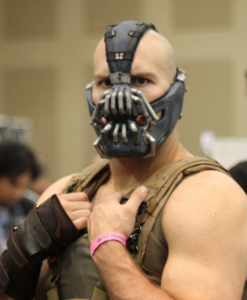 Once I started wearing my CPAP, my family had to get used to it, too. My children initially looked at me as though I were an alien, and the first time our dog walked in our room for her usual morning greeting, she turned around and walked right out. The CPAP has not been my favorite part of life, but here’s the thing: I feel SO much better. My brain is more clear. I can even go a whole day, if I need to, without a nap. I am less emotional. I am more optimistic. And while I still don’t have the whole sleep thing “down,” I know I’ll get there. As we’re getting ready to launch our membership, ARISE, learning to identify and tackle our problems/opportunities head on is going to be a key theme. It’s definitely uncomfortable to take bold moves forward or to put ourselves out there. And WHAT IF WE FAIL? But to be candid, not taking action is what destroys us. Ultimately, I believe these challenges are good for us. The reason I think productivity is one of my strengths is because I’ve had huge goals throughout my life, but very little energy with which to accomplish them. I didn’t just “want” to work effectively. I HAD to work effectively. Think about all the people you know who have turned a weakness into a strength. They are everywhere. We all need to make changes. We all need help. And sometimes it is SO not attractive and beautiful as we are plugging away at the solutions. But I’ve always loved the concept of moving forward boldly in the direction of our dreams. Let’s commit to figuring out our pain points and what’s slowing us down. I truly believe that our challenges (and our embarrassing secrets) are in our lives to help us to grow. To become stronger. To arise. And I believe there is power from above that is available to lift us, transform us, and prepare us for what’s coming next. 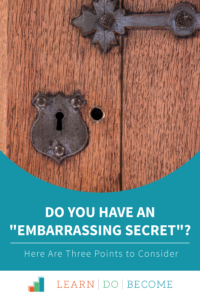 That embarrassing secret that keeps you up at night or stresses you out during the day or is weighing you down when you’re TRYING to move forward? (Yes, I still have things I’m working through….) There is help and hope available. We don’t need to be embarrassed for fixing what isn’t working. We need to APPLAUD each other for that. Have a “sit down” with your embarrassing secret and identify ONE THING you can do to at least start moving toward a solution. 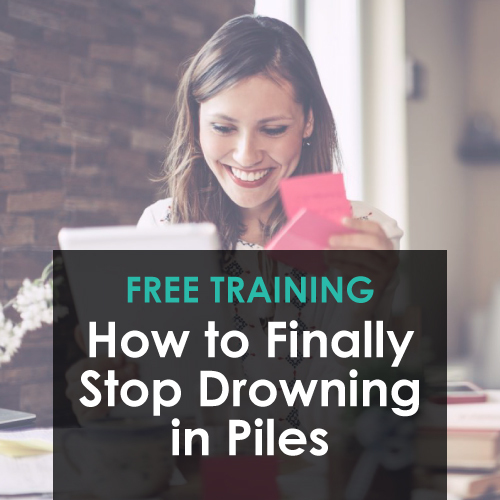 Our productivity training, How to Finally Stop Drowning in Piles. ARISE! 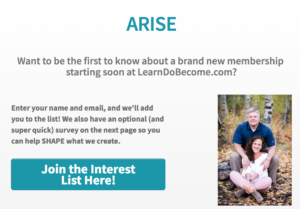 – Get on the waitlist for our new membership! If you would like to share this podcast on Facebook, click here. We love you! And we’re so glad you’re with us. I appreciate you sharing your secret and how you’re working on conquering it. You’re amazing, imperfections and all. It’s very encouraging and helps reassure me that I can overcome my weaknesses. 🙂 I’m hopeful this will be comfortable for us one of these days. Thank you, Debi!! Thanks Jack!! It’s nice to know we can all laugh together and not take the craziness of life TOO seriously. 🙂 So glad you’re with us!! I started using a CPAP several months ago… It’s a pain until you get used to it… It didn’t take me long to get to the point where it felt “normal”… You’ve got this! Oh, I long for that day! Thank you for the encouragement, Dana!! SJ, you’re so cute. Thank YOU for being here and for continuing to be courageous. We all need each other! We are here for you, Christina! There must be a lot going on there as you care for your daughter. Sending you a huge hug and encouragement! Thank you! Your words mean so very much to me. 2019 is starting with big challenges. So glad you’re here with us, Christina! Sending you a huge hug!! Thank you, April! I appreciate you sharing your challenges with us. I’m so happy for you that you’ve found something to help you feel more refreshed, and rested! Thank God! I’m so sleep deprived all the time, I can relate to all the feelings you were mentioning. Blessings to you and your family for helping others! Ahh–I hope that YOU can get some rest, too! Thank you, Maria! So kind of you to share! Thank you for sharing… I too share your CPAP nights. I am on my second week and already feeling a difference. Still working on my comfort level. My husband calls me a bug! My hose hooks to the top of my head. So happy for you to be feeling better, too! Eric asked if I wanted to try one of those top-of-the-head ones. Maybe next time around. 😊 So glad you’re here with us!! Thanks for sharing your CPAP story! I have been treated for Sleep Apnea since 1995. I believe it has made a difference in how long I will live! Untreated it leads to many difficulties, too many to mention here! You feel more alive after using the machine. 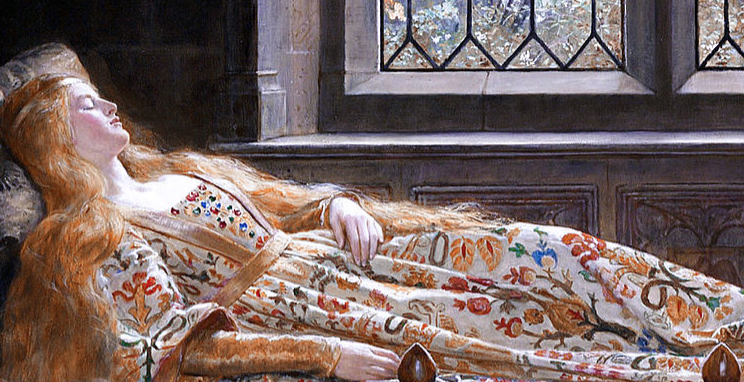 I rarely feel tired enough to take a nap. I use the small pillows that sit below your nostrils. Very comfortable and less bulky than the mask. You will live much longer and happier since you are using this life saving device. Thanks for sharing your story, you may have saved many lives, and certainly have opened the door for others to consider treatment! Thank you so, so much, Marsha!!! I enjoyed your podcast and I wear a c pap too. Also for the past year I have had to use oxygen all the time. It has helped that I had a daughter who had to use a full face mask which was harder. She was still alive when I got mine so I couldn’t complain. I have been wearing a CPAP for almost 10 years. Appointment with the doc for the annual check-up later this week. I don’t even think about putting it on most nights now – it just appears on my face! I use nasal pillows because I have a beard. Definitely a struggle when I first started! I stopped breathing 31 times an hour during my sleep study. Now I am down to about once every 2 hours! Everyone who feels tired all the time, snores, has bad nightmares involving water, or has brain fog should ask their doc for a sleep study. It used to be that you had to be overweight to be considered for sleep apnea. That is a myth! I love my CPAP. I mean, it’s totally unsexy and it’s a bit awkward when I’m dating a new person, but it gave me my life back! I feel so lucky to have found a good doctor who understands central sleep apnea (much less common than obstructive sleep apnea) and knows how to treat it properly. Like you, I don’t fit the stereotypical criteria – I started wearing it as a thin woman in my 20s who didn’t snore – but it has been a life-changer. I just wanted you to know you’re not alone! Appreciate your vulnerability and the way you’re modeling life April! Lori, we are so, so happy you’re here with us! Our community at LearnDoBecome is so solid, and I think as we’re all willing to share what’s REALLY going on, we can help each other to solve pretty much all of the problems we’re facing. 🙂 Thank you for your kind words and encouragement! !